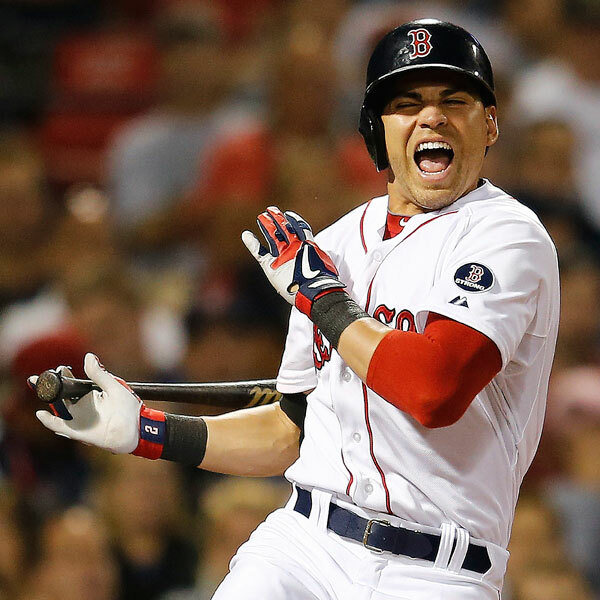 Boston Red Sox center fielder, lead off hitter, MLB stolen base leader and free agent to be Jacoby Ellsbury broke his media silence Wednesday for the first time since being diagnosed with a broken bone in his foot. Ellsbury fouled a ball off his foot on Aug. 28 and has not played since Sept. 5. He was diagnosed with a small non-displaced fracture of the navicular bone in his right foot. It's a similar injury that caused Dustin Pedroia to miss the final three months of the 2010 season. Ellsbury is hitting .299/.355/.424 with 31 doubles, eight triples, eight homers, 52 RBI, 89 runs and an MLB-best 52 stolen bases this season.